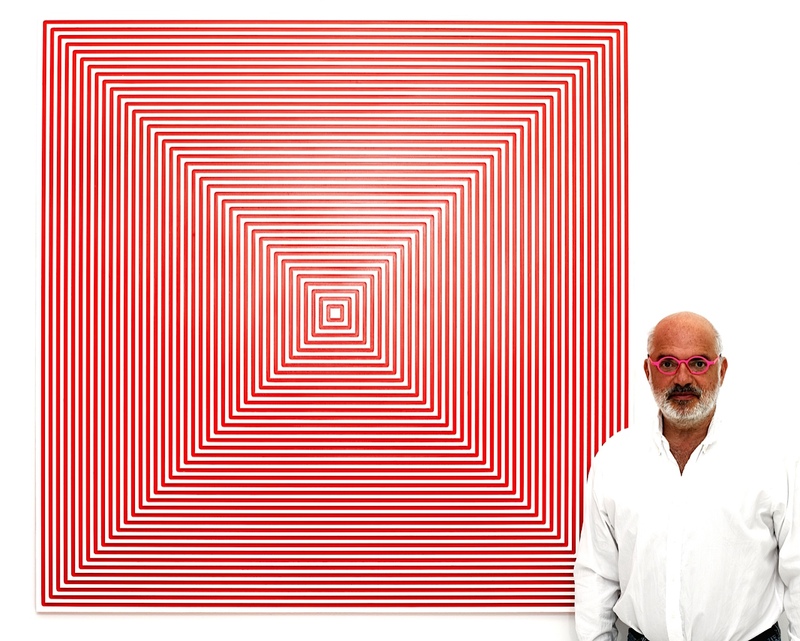 “Material and Spiritual”, “The Circle and Infinity”; “Metaphysics of the Square”: the titles of the series in which Ron Agam arranges his works say a lot about the guiding principle behind them. Ron Agam is a modern humanist, and when he is not painting he is reading or writing. It isn’t surprising that for this artist, art should not only enable us to see but also to think. The visual work of Ron Agam’s painting is in the highest tradition of the exploration of the essence of form. In this perceptual art, as Duchamp said, “It is the regardeurs who make the picture.” The encounter of our retina with the formal vertigo of Ron Agam gives rise to a phenomenon, a visual emotion that enables us to re-see the essence and the possibilities of fundamental geometrical shapes. The painting seems alive, it moves and vibrates. What do you see when you look? That is the question.
" The visual work of Ron Agam’s painting is in the highest tradition of the exploration of the essence of form." A painter at heart, Ron Agam is continuously involved in a special play with colors, with the phenomenology of colors, one should say. Ron’s palette encompasses a rare range. The artist does not hesitate to explore even the most psychedelic pigments. He explores all the possibilities of the colors. The softest nuances give way to another series of the most vibrant hues. “Mix it up, that’s the spirit”, as Paul Valéry said. It’s the infinity of the color that is celebrated in this work. There is a history of geometric abstraction in art, since the first works by the artists Duchamp and Delaunay appeared at the beginning of the 20th century. In the fifties and sixties this theme brought together a new generation of artists. One of them was a certain Yaacov Agam. 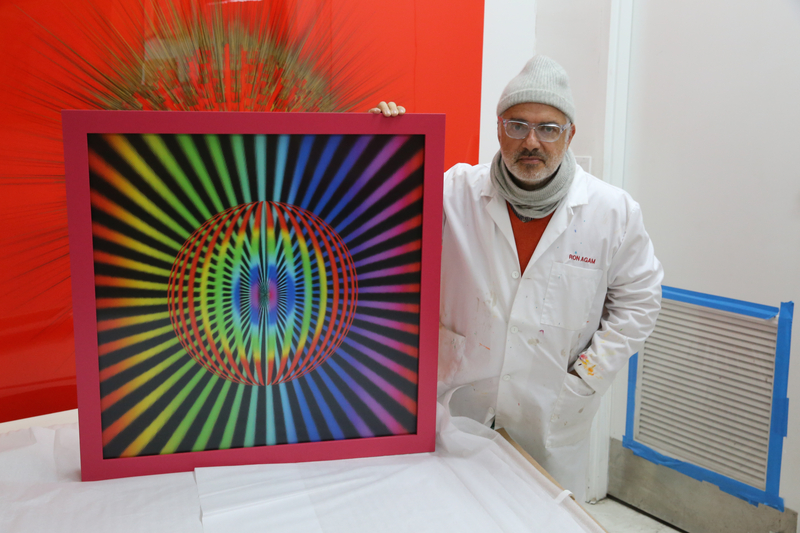 Agam is one of the founding fathers of this artistic school called “kinetic art” which takes its name from Le mouvement exhibition in Paris at the Galerie Denise René in 1955. As never before, it explored the artistic possibilities of the vitality of vision, the experience of the visible, the sensory impressions that the eye can be subject to and the evolution of the work through the participation of the spectator. The work of Yaacov Agam is immense and legitimately recognized as such by art historians. Kinetic art, visual research, abstraction, Ron Agam has been immersed in it since his childhood. However today, you can’t help but notice that Ron has made a name for himself – a first name of his own. His work is not in opposition to that of his father, it does not repudiate it, but it transcends it in one sense, giving it a second life, another first name. Ron has not run away from his father’s field of exploration. He has the remarkable courage to build an original body of work, a singular vision, in the lines etched by his father. “Dream between the lines” is also one of Ron’s titles that I will close with here. Artist, above all else, Ron Agam emphasizes that it all starts with the imaginary. This is the painter’s condition. It is in dreaming between the lines that the spirit enters the art work. 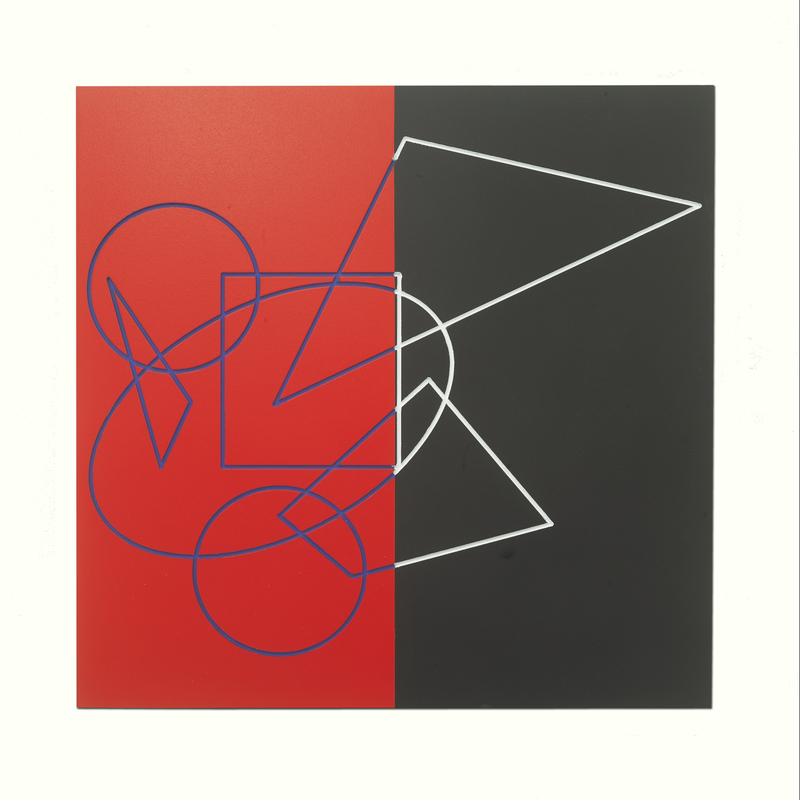 Ron Agam shows us in his work that by dreaming with the lines, by interlinking them in a thousand ways, letting them play, freeing them in one word, we have a chance to see them move one day. Could what is true for art be true for the world and for life? With his penchant for vibrant colors, Ron Agam recalls his famous father, but the son is determined to forge his own path as a painter. 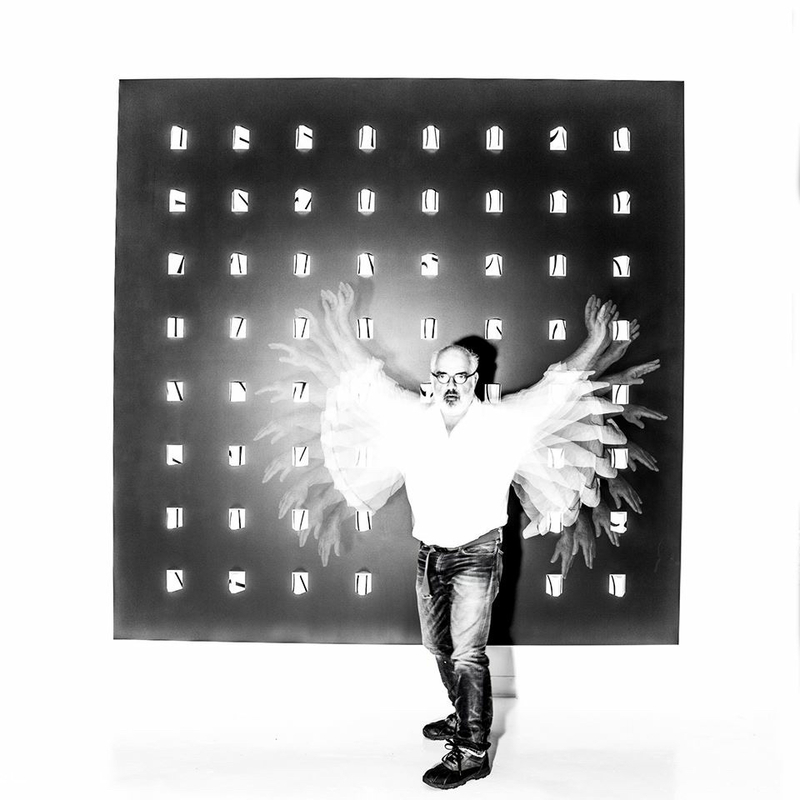 Agam, a founding member of school of kinetic art, but of his son, Ron.